Smoothing the deeper wrinkles and acne scars removal. A 100% natural technique of 3-D skin stimulation with proven. Get a FREE trial. What is chemical peel and what is peeling treatment for? Chemical peel is a procedure that improves the condition of the skin, stimulates the regeneration of the epidermis and remodels the corium (fibrous skin layer under the skin). The combination of active peeling acids penetrate several layers of the skin. The result is renewed, revitalized skin - the new skin is smoother, less wrinkled, the look and the feel of skin is improved. Dreaming of youthful and flawless skin? Chemical peeling belongs to popular non-invasive treatments. It is suitable for all skin types, for women and men regardless the age. Chemical peeling treats certain types of acne (incl. acne scars), reduces age spots, freckles, and dark patches (melasma) due to pregnancyor taking birth control pills, contributes to formation of hyaluronic acid stimulating, collagen and elastic fibers. 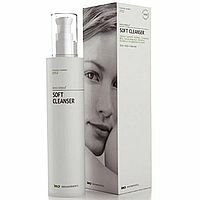 Exfoliates wrinkles around the eyes, strengthens delicate and thin sensitive skin, deeply hydrates and improves skin nutrition. In BEAUTYSHAPE we use the new generation chemical peels! We use the latest European peelings in BeautyShape. Our Chemical Peelings can solve problems of all types and colors of the skin. To achieve an optimal effect, several sessions are required. It all depends on your skin type, difficulty of the problem and desired effect. Since this is a non-invasive procedure, it is possible to continue the normal life routine. Make-up will help to hide the possible redness during the first days after the procedure. The price includes: skin treatment before chemical peel, the chemical peel material, treatment and eventual control after the treatment. Against pigmentation and age spots, subtle wrinkles and mild signs of photoaging with active ingredients such as vitamin A, salicylic acid or kojic acid. Anti-aging with a brightening effect with active ingredients such as lactobionic acid, ascorbic acid or hyaluronic acid. For solving minor to mild symptoms of skin aging changes. Effective recovery of the skin with active ingredients of salicylic acid and trichloroacetic acid for the treatment of acne scars, stretch marks and also middle age skin changes. What to do before chemical peeling treatment? The type and intensity of chemical peeling should be consulted with the professional beautycian before the treatment. We take into account not only the condition of the skin but also your expectations. The stronger the peeling is the greater the results are, but the healing time will also increase. Do not use any cosmetic masks, other types of peeling or dermabrasion before chemical peeling. Also, do not wax od epilate the face area before the treatment. It is also not appropriate to do other cosmetic treatment or hair dyeing immediately before application of chemical peels. Follow your beautician's directions for cleansing, moisturizing and applying protective ointments to your skin. Proper care of the skin after the peel is very important. This care can speed healing, help results last longer, prevent infection, and avoid color changes in the treated area caused by sun exposure. Your skin will be slightly red and the small creases may appear. Within 5-14 days the skin begins to peel off gently. Inflammation or loss of skin color may occure as a side effect of moderately deep and deep chemical peels. Treated areas develop new skin about five to seven days after a medium chemical peel. Peeling treatment increases skin sensitivity to UV light. After peeling has stopped, sunscreen should be used every day. New skin is more likely to be damaged by the sun. Ochrana buněk proti volným radikálům a slunečnímu záření. Účinně blokuje sluneční záření UVB/UVA, čímž zlepšuje ochranu. 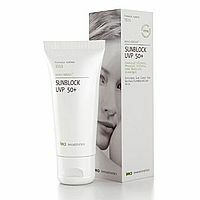 Krém INNO-DERMA Sunblock SPF 50+ obsahuje složku, jež stimuluje produkci kolagenu. Pěnivé mýdlo na čištění obličejových partií nebo oblastí pokožky, u níž došlo k dermatologickému estetickému ošetření. Působí jako regulátor mastnoty bez abraze či nadměrné suchosti, se zřetelem na hydrolipidovou vrstvu kůže. Výsledkem je čistá a svěží pleť zbavená nečistot. Reparační krém po dermatologicko-chirurgických nebo estetických zákrocích. Krém normalizuje mikrocirkulaci, předchází a odstraňuje zarudnutí a hematomy, pomáhá také odstranit tekutiny a toxiny při současném zvýšení přísunu živin a kyslíku do buněk. Chemical peeling is not recommended: Diabetes mellitus with oral antidiabetic • Pregnancy and breast-feeding, Skin tumors • Skin inflammation, Active Herpes Lesions, Cream of keloid (plastic scars), Post-operative facial states • Radiation and post- Taking tetracyclines, antibiotics and all medications that increase the sensitivity of the skin to sunlight. To get an optimal visible results, we recommend 3-5 treatments (each treatment at 2-4 weeks interval). This will give the best results, as the full benefits of the peels build up over a course of five treatments. Chemical peels can range from €70 to upwards of €200 depending on the type of peel and where you go to receive the treatment. There are many peels sold online at a cheaper rate, however you need to be careful in quality of the peel chosen as many companies do not make them in a professional sterile facility. Such a peel may do more harm that good as the purity of the chemicals could be toxic or harmful. Treatment time depends on the surface area to be treated. The treatment can take from 30 minutes to 60 minutes. Much will depend on the reaction of your skin to the chemical peel. On which areas can be applied?? Chemical peeling can be applied to the face, neck, décolleté, back of hands or back. How long does the effect of chemical peel last? With chemical peeling, you get a fresh look. The skin will be regenerated, but it will not prevent aging, gravity, or other formation of wrinkles. Therefore, we recommend repeating the chemical peeling once in a 6 or 12 months. What is the most suitable season for Chemical peeling? We recommend that you come during the period between autumn and spring. It is important to avoid direct sunlight and solarium. Chemical peeling or microdermabrasion - what's better? Microdermabrasion is a mechanical abrasion of the skin with small crystals, while chemical peeling uses acid solutions to smooth the skin. The fundamental difference is effective. Microdermabrasion is selected for cases of skin defects correction, such as acne skin acne, fine wrinkles, enlarged pores or old stains. 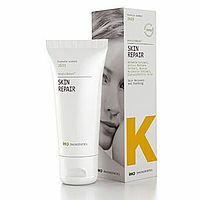 Chemical peeling, which is more effective, then addresses more serious skin problems such as scars and deeper wrinkles.